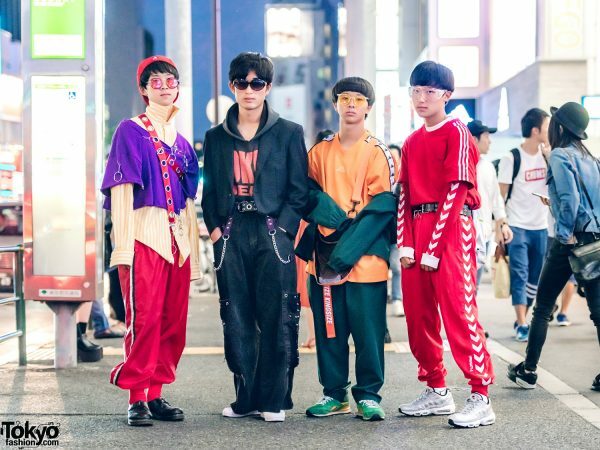 We stumbled upon this group of Japanese students, who showed off contrasting styles while out in Harajuku. 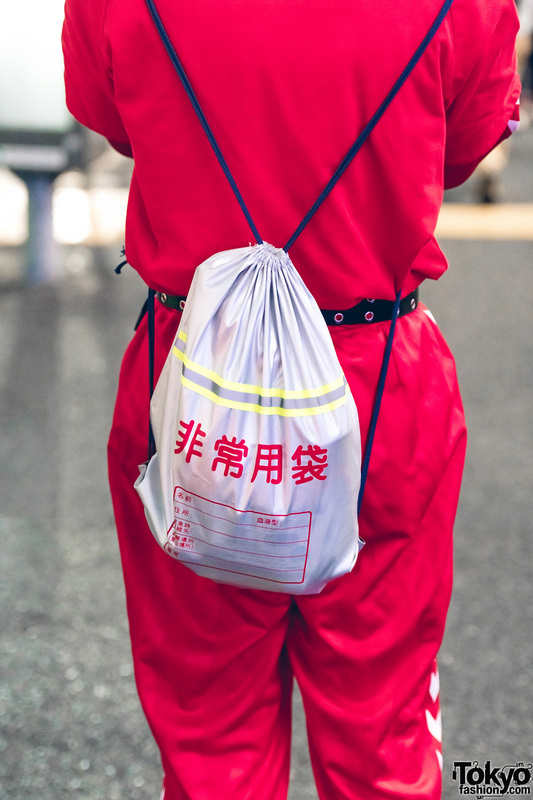 On the left is 18-year-old Y in the red hat and layered streetwear. He wore a Paul Smith yellow-and-white striped long-sleeved top under a cropped purple shirt adorned with safety pins. 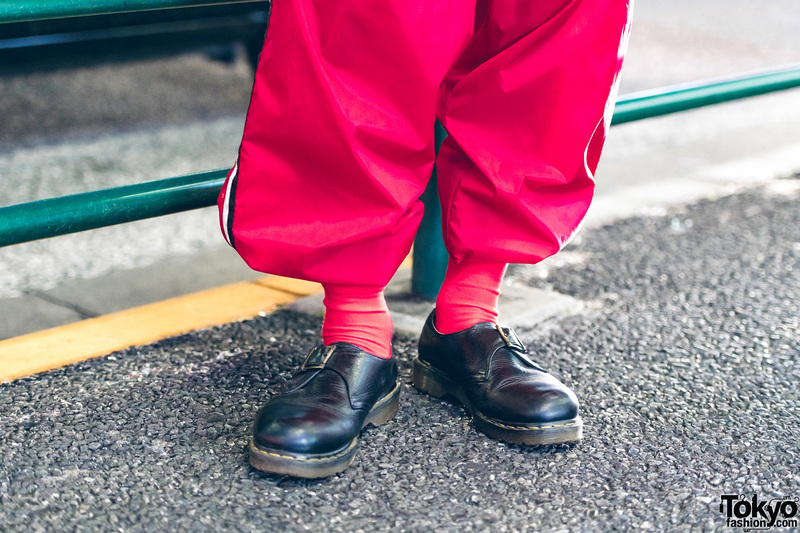 Y styled them with bright red track pants from Nike, red socks, and Dr. Martens black leather shoes. 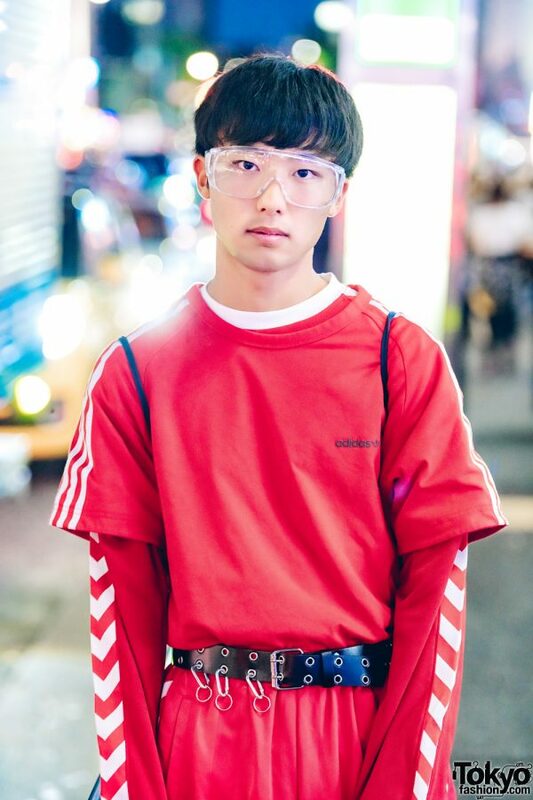 He finished off his look with a red grommet belt strapped across his chest and round sunglasses with red-tinted lenses. 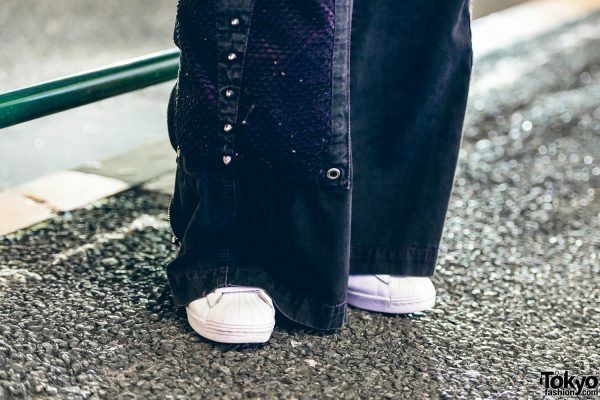 He considers Kudos a fashion favorite, while Creep Hyp is his favorite musical artist. 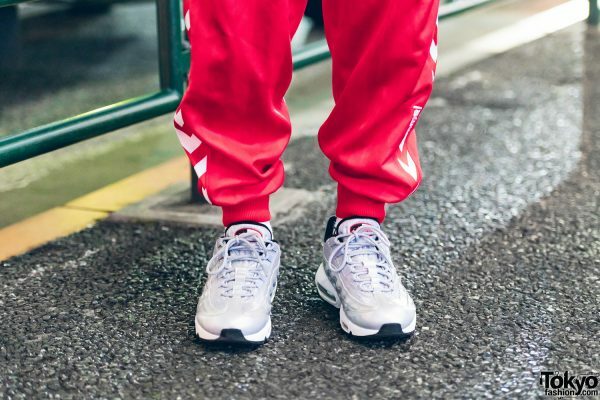 On the far right is 18-year-old Kyosuke, who donned a red T-shirt from Adidas over a red long-sleeved top from Hummel with a white chevron pattern. He wore them with matching red Hummel track pants cinched at the waist with a black grommet belt. 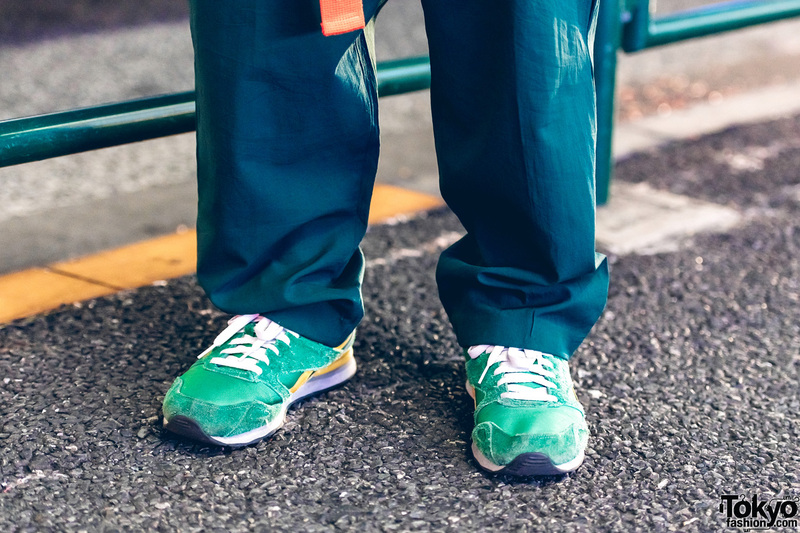 Kyosuke capped off his look with a drawstring backpack and Nike Air Max ’95 sneakers. 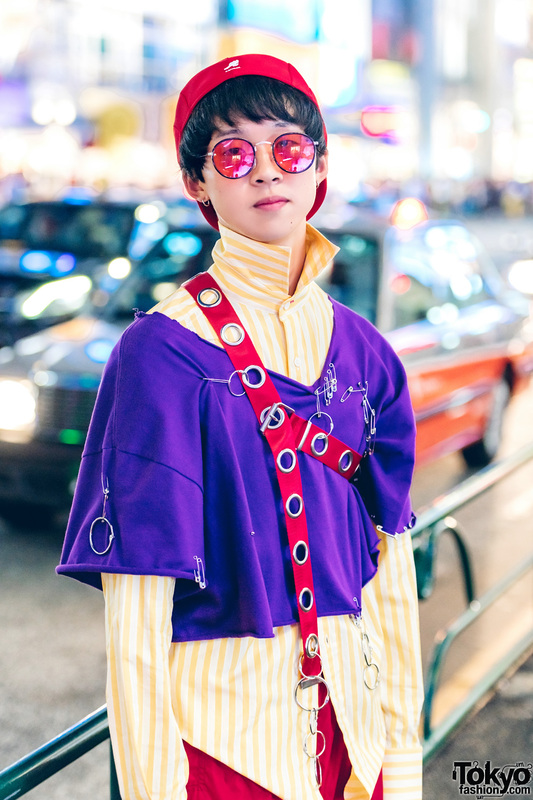 For more on Kyosuke, follow him on Instagram. 17-year-old Hayate is the one with the orange V-neck top from Kappa. He styled it with a black jacket and black pants, which are both from Bon Worth. 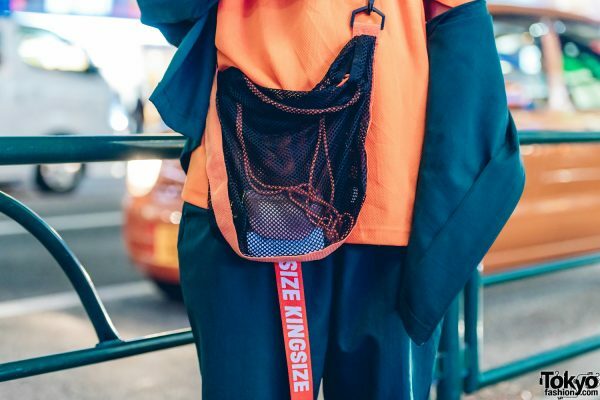 Strapped across his chest is a black mesh see-through bag with an orange shoulder strap. 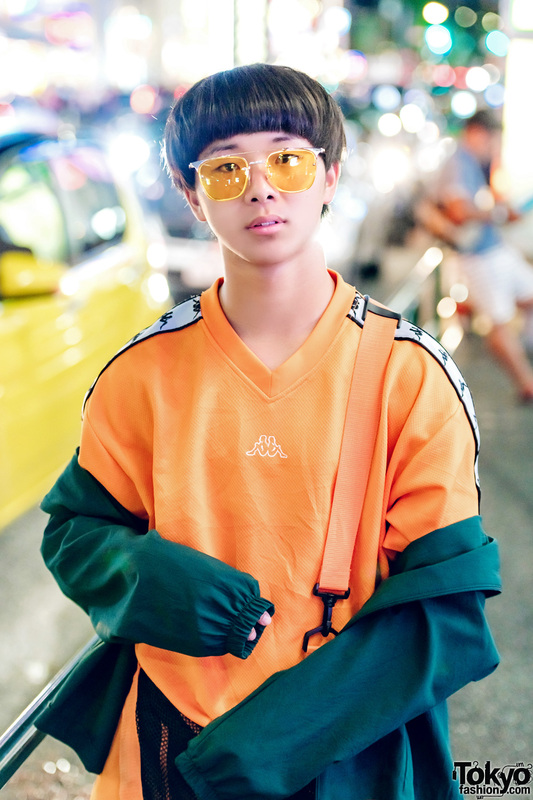 Reebok green sneakers and sunglasses with orange-tinted lenses provided the finishing touches to his look. Hayate enjoys listening to music from Wanima. 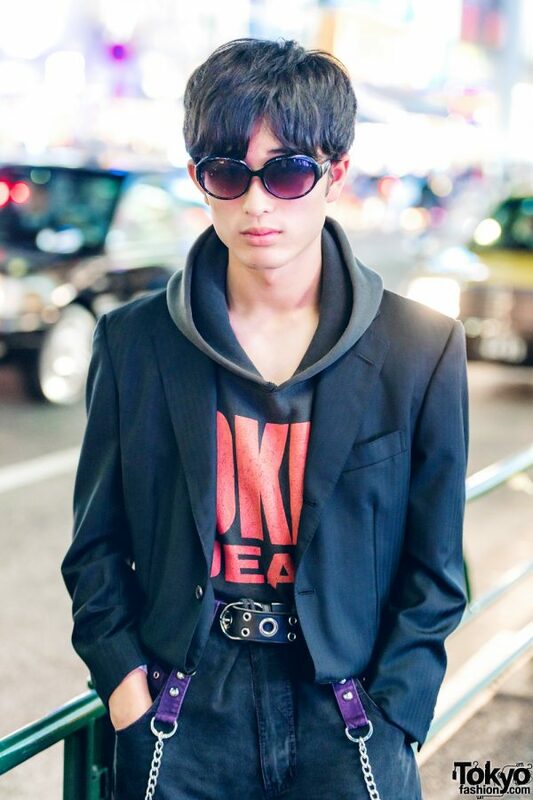 Finally, 18-year-old Yoshiki wore a black blazer over a hooded top with contrasting red lettering on the front. 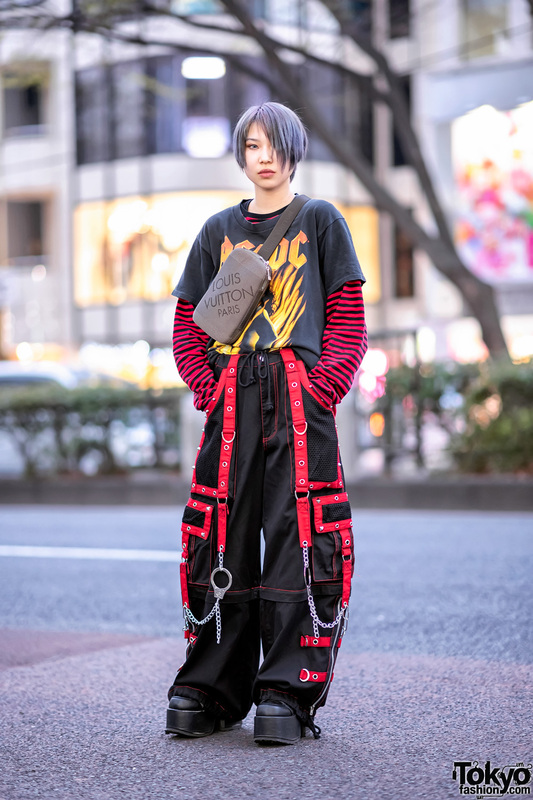 Yoshiki tucked his shirt into black wide-leg jeans, which he styled with a black grommet belt and chains with purple straps. He finished off his look with sunglasses and white shoes. For more on Yoshiki, follow him on Instagram.